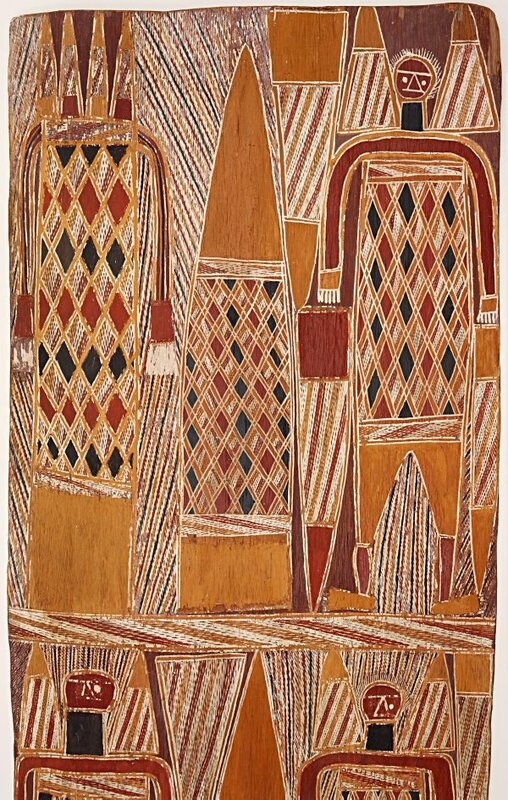 Tom Djawa was a senior leader of the Gupapuyngu clan and was among the group of artists, including Binyinyuwuy and Lipundja, working at Milingimbi from the late 1940s. 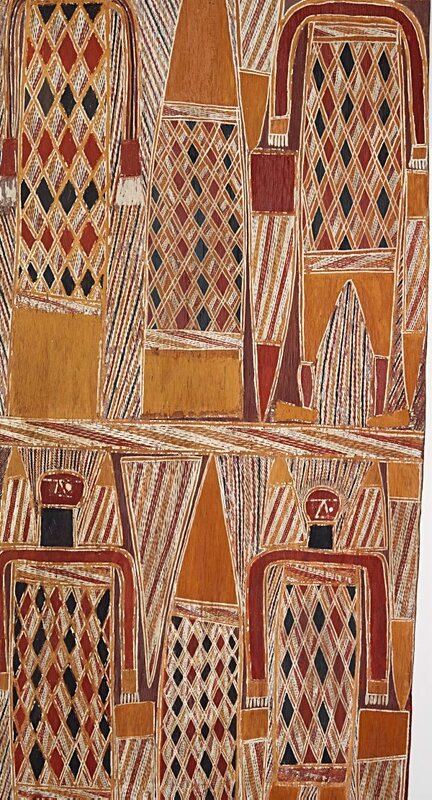 These artists were actively painting their culture with the support of the mission, producing small jewel like bark paintings and some sculptural forms. Like a passport … like an I.D. This is a painting worth mention. This is a Yirritja painting and this is a Gupapunygu painting and the painting is coming from a place called Djiliwirri. This painting has lots of meanings in this country. Identifying people, who they are … this is the painting of Gupapuygu clan. 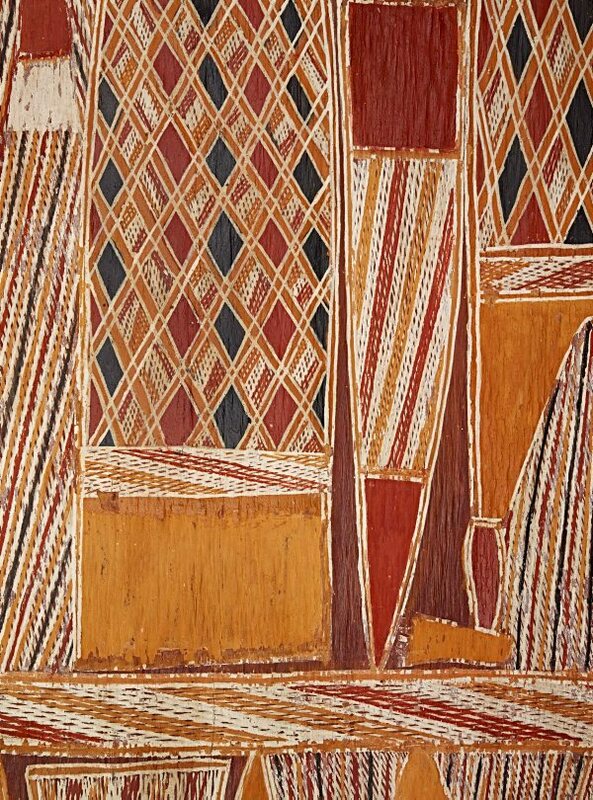 As a form of self-portrait, the work identifies Djäwa as an individual and as a Gupapuyngu Daygurrgurr man. Djiliwirri is the Gupapuyngu Daygurrgurr estate at Buckingham Bay and Djäwa’s homeland. 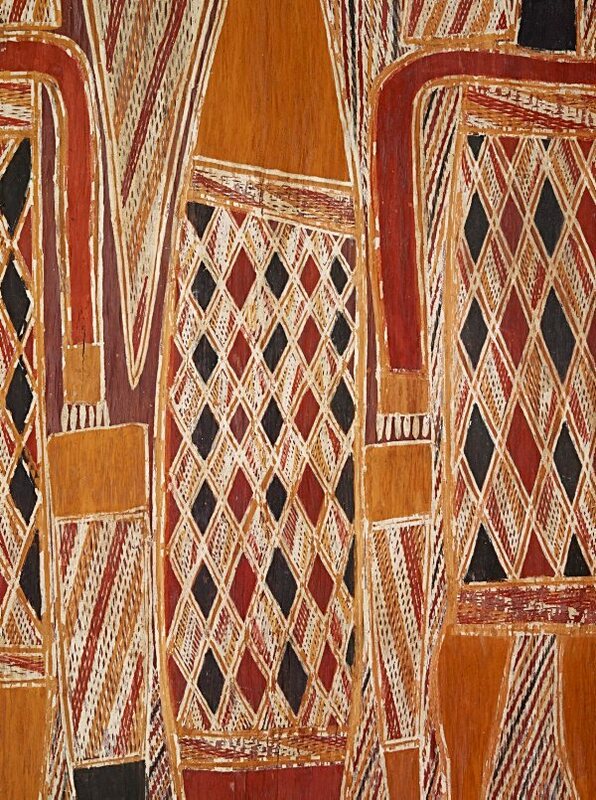 The commanding figures and objects within the work are elaborately adorned with the distinct diamond design for niwuda (Yirritja honey). Sugarbag is a highly valued commodity and is celebrated by Gupapuyngu Daygurrgurr people, being a central feature of the age grading Birrkulda ceremony during which it is painted on the bodies of participants. Cara Pinchbeck, Art from Milingimbi , ‘Djawa’, pg. 76-85, Sydney, 2016, 85 (colour illus. ), 141.